The Annual General Meeting of SMASH Youth Project will take place on Friday 14th September at Pinetrees Community Centre at 10.30am. 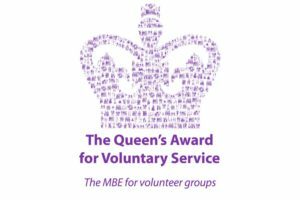 Prior to this, at 9.30am, SMASH will be presented with the Queens Award for Voluntary Services on behalf of all our volunteers. We will be joined at this event by some of our young people, dignatories and there will be cake! We look forward to celebrating the fantastic work that our volunteers do within our local community.